COMFY AND WARM: A pair of ladies house slippers that will treat your feet like royalty. 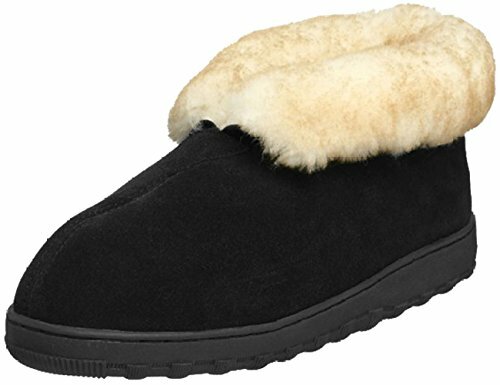 These faux fur-lined women's clog slippers have a soft furry collar and lining along with a heel cushion that will never fail to keep your feet warm and cozy either you are in your bedroom or front porch. 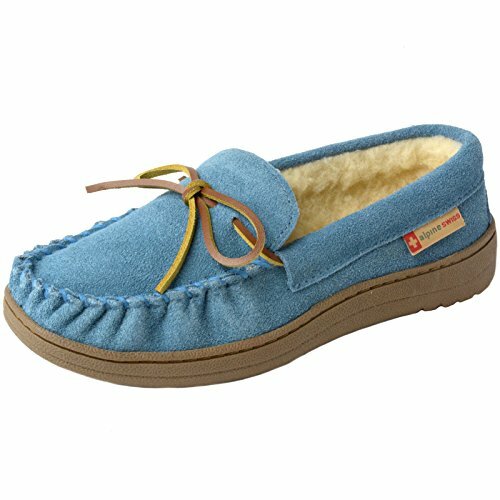 IDEAL FOR BOTH INDOOR AND OUTDOOR USE: The Floopi shearling style slippers can be worn around the house, bedroom, spa or beauty salon and their slip resistant rubber sole makes them suitable even for outdoor use. 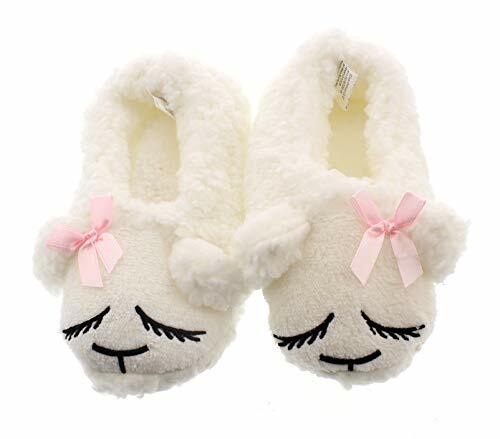 Cute yet reliable, these fluffy mule slippers are the best choice when it comes to comfortable and durable house wear. STRONG AND DURABLE: Apart from the supportive memory foam padded footbed which will mold to your foot, these clog slippers for women and girls of all ages have a Polyester upper, a strong center seam and a flexible thermoplastic rubber sole, which is wear and slip resistant. Pretty yet durable, a pair of unique house slippers you can really count on. 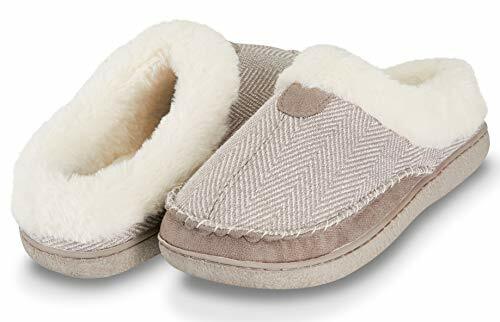 EASY TO PUT ON AND TAKE OFF: With a slip on design, these cool shearling slippers are the best solution to pamper your guests as well, as they come in a wide range of sizes: Small (5-6.) Medium(7-8) Large(9-10) XL(11-12). A pair of nice, soft, warm, fluffy clog slippers to make everyone feel like home. 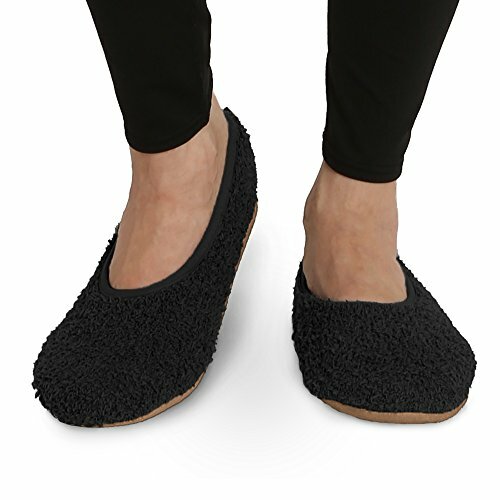 EASY TO MAINTAIN: The excellent craftsmanship and the quality of materials we use make the Floopi fur lined clog slippers very easy to maintain. Machine washable and easy to dry (you just need to lay them flat), this pair of indoor and outdoor slippers will not lose its form even after many washes. EVERY INCH OF YOUR FOOT WILL BE WARM: Are you one of those people who constantly have cold feet? 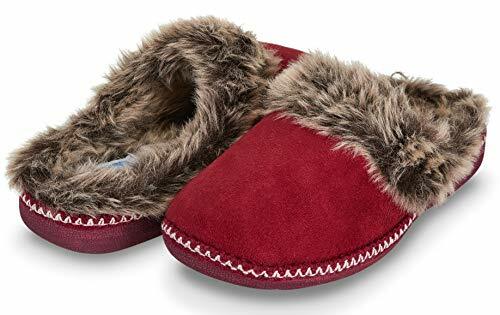 These house slippers for women have a faux fur lined moccasin design, so they cover your toes, foot bridge and heels and keep the warm air in and the cold air out, while allowing your feet to breathe. 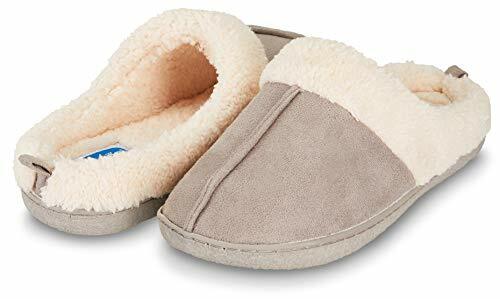 COMFORT LIKE YOU'VE NEVER EXPERIENCED IT BEFORE: Apart from the super soft faux fur lining, there is one more important material that makes these warm slippers comfortable. 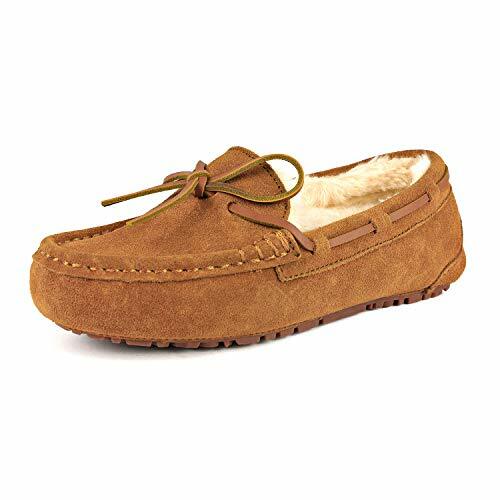 More specifically, our moccasin slippers have a memory foam outsole that conforms to your foot and provides optimal comfort. 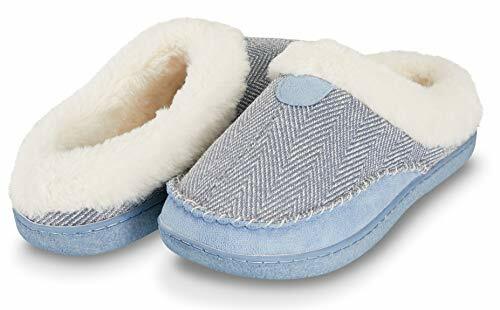 WALK ON ANY SURFACE WITH EASE: Slippery house floors and stairs can be quite dangerous...unless you're wearing these comfy slippers for women. 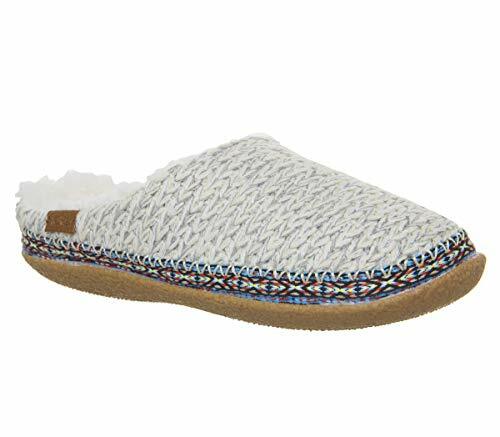 Thanks to their nonslip rubber sole and moccasin design, these women's slippers are very sturdy and they won't accidently fold under your foot while you walk. 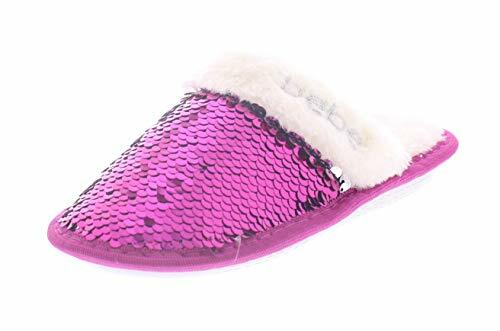 COLORS THAT MATCH YOUR STYLE: Floopi's memory foam slippers come in all adult women US shoe sizes (6-11) and 7 stunning colors, so that you can pick the one that best matches your style, personality and your favorite outfit or even pajamas! The colors available are black, chestnut, grey, navy, pink, purple, and red. FASHIONABLE SLIPPERS FOR WOMEN: Who said that slippers can be worn only in the house? These Aztec style faux fur clog slippers are very fashionable and they can be worn both indoors and outdoors. So wear them all day long in your house and be warm and comfortable, but also wear them outside when you go to your balcony, garden, yard or porch. NO MORE COLD TOES IN THE WINTER: Are your feet always cold, even when your whole body is warm? 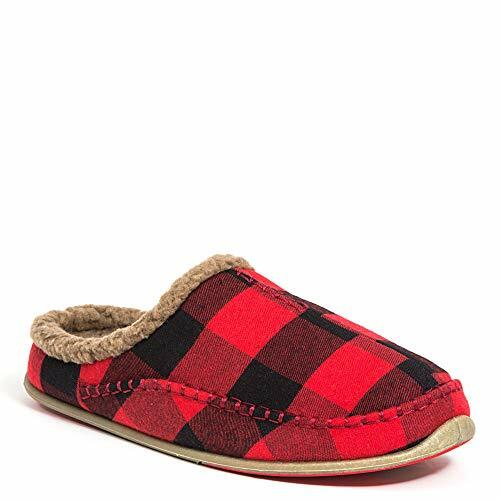 With these cozy house shoes your feet and toes will never be cold again! 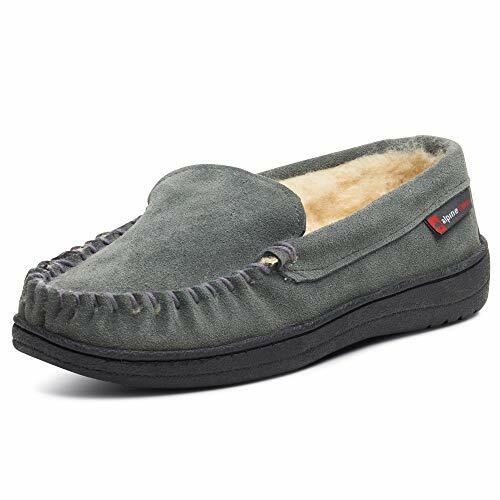 The faux fur lining will warm your frozen toes and keep your feet cozy and comfy. The super soft material and the memory foam sock are made to do exactly that! WALK AROUND WITH CONFIDENCE: Walk around the house and go up and down the stairs with confidence, because there's no chance that you'll fall when you wear these clog slippers. The TPR sole is nonslip, so the women's slippers are very sturdy and safe. No matter what type of floors you have in your house, with these indoor slippers you won't slip and fall! 4 SIZES TO FIND THE PERFECT FIT: The two tone Aztec outdoor slippers come in 4 different sizes. You can choose between Small (5-6), Medium (7-8), Large (9-10) and X-Large (11-12). Pick the right size, so that you can have a perfect and secure fit, and absrtable, but also wear them outside when you go to your balcony, garden, yard or porch. BEAUTIFUL COLORS TO CHOOSE FROM: What's your favorite color? Floopi faux fur clog slippers come in 6 different colors, so we're sure that you'll find the one you love. The Aztec slippers come in black, wine, teal green, chestnut, navy, purple and grey. They all have the same brown faux fur and that's why the two-tone slippers are so fashionable and stylish. After a long day of scouring the sea, rest your feet in slippers fit for a Viking with the Nordic from Deer Stags®. 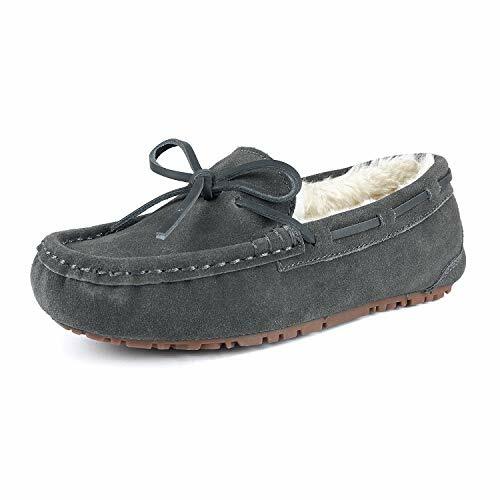 Soft synthetic upper with imitation fur collar for added comfort and style. Feels great barefoot or in socks. Buttery faux shearling lining will make your feet feel like they are floating in a cloud. Features unique S.U.P.R.O. Sock™, an extra thick polyurethane sock that provides superior cushioning. Plush insole is semi-cemented so you can replace it with your own orthotic if you desire. Compression nodules on the outsole provide extra support where you're hardest on your feet. Durable TPR outsole makes these way more than bedroom slippers. ★ULTIMATE COMFORT - The memory foam insole makes these slippers soft and flexible, let your every step like walking on the cloud. Moreover; the cozy heel collar and synthetic suede upper will mold to your feet and provide a customized fit for you. The excellent and soft plush fleece lining provide you next-to-skin comfort to keep you warm and comfy. 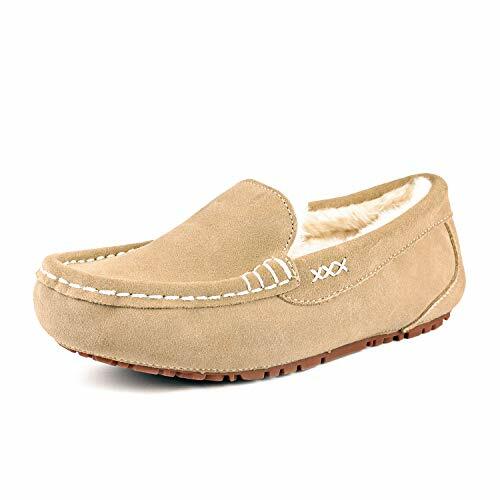 ★HIGH QUALITY & EXCELLENT TRACTION: The High-quality synthetic skin suede is around the slipper which both increases durability of the slipper and also prevents water and dampness from absorbing into slippers. The durable non slip rubber sole provides excellent traction and stability for all surfaces and terrains. 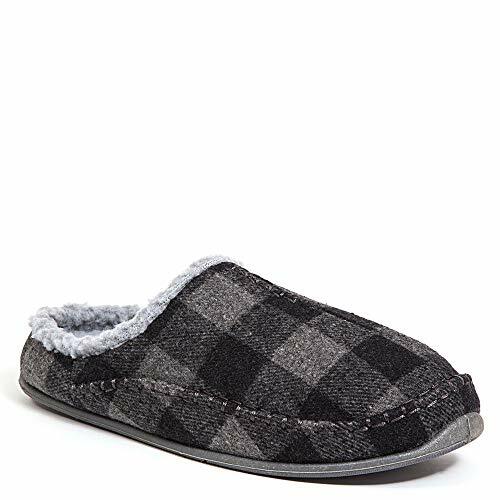 ★ALL-PURPOSE & EASY MAINTENANCE: Easy slip on style with a cozy fleece heel collar and durable non slip rubber sole make these slippers to be a good option as house slippers, bedroom slippers, winter slippers and indoor outdoor slippers for your daily wear. Moreover, They are both hand and machine washable(Machine wash with a laundry bag). ★SATISFACTION GUARANTEE: With NDB, you're taking no risk with your purchase. We offer 100% no risk money-back guarantee. 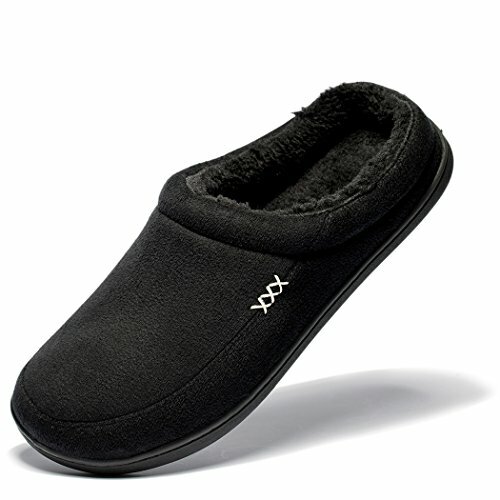 ★NEW SELECTION: (NDB Women's Cozy Memory Foam Slippers) Limit Stocks On Sales. Putter around the house or run your daily errands with the cute and cozy TOMS® Ivy Slipper. Soft wool upper comes in a variety of patterns. 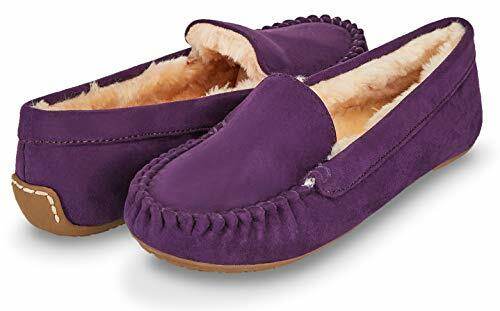 Color name states which slippers come with tassels. Faux shearling lining and footbed for added warmth. Durable rubber outsole with traction for both indoor and outdoor wear. SIZE - Comes in three sizes: Small (Fits US 4-6), Medium (Fits US 7-8) Large (Fits US 9-10.5). These stylish slippers fit most standard and wide foot sizes. The coral fleece fabric has some natural stretch to maximize comfort and fit. SOFT & COMFORTABLE - Made of ultra-soft fuzzy coral fleece and lined with plush faux sherpa shearling. Slip them on, kick back and enjoy the amazing comfort of these slippers after a long day of work. Perfect for relaxing and lounging around the house day or night. STYLISH - We've taken the classic ballet flat style and added a comfy Chenille exterior, a cozy faux sherpa shearling lining, and a luxurious Memory Foam foot bed. The outside feels like a cozy plush blanket and the inside is soft and warm. Available in a variety of colors, choose a color to complement your nightwear, or opt for a bold colors to express your personality! SKID RESISTANT - The soles have gripping rubber treads to provide safety and security for any situation. The non-skid rubber design on the sole reduces the risk of slips and falls by providing you with traction on a variety of surfaces such as wood or tile floors. The tread is color matched for a subtle look that won't scuff your floors. QUALITY - Pembrook has been manufacturing products for 40 years and after that long we've learned a thing or two about quality and design. Pembrook has been a family business since 1976 and we fully stand behind the quality of our products. If for any reason you don't love these slippers, return them for a 100% refund. YOUR FEET WILL BE HAPPY THIS WINTER: Why? Because they will never get cold while you'll be relaxing at home - these Floopi microfiber slippers for women are going to make sure of that! 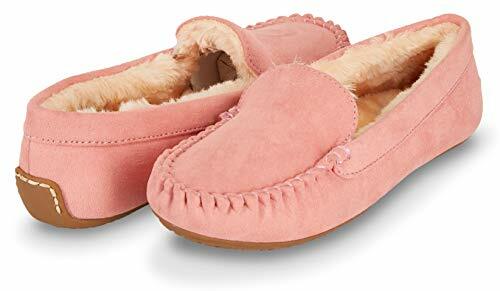 If you wear these women's slippers with the faux fur liner, your feet and toes will always be warm and cozy! HERRINGBONE PATTERN FOR EXTRA LUXURY: These house slippers for women have a stylish herringbone pattern and the cutest color combination, so you can wear them from morning to night with your pajamas or loungewear, whether you're indoors or outdoors. Luxury doesn't need a specific setting! 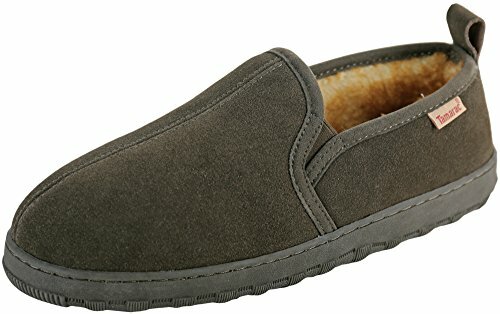 SLIPPERS THAT WILL KEEP YOUR FEET COMFORTABLE: Do your feet hurt every time you return home from work? Why walk barefoot when you can walk in these super lightweight and comfortable memory foam slippers that will prevent a further strain and help your foot muscles recover faster? 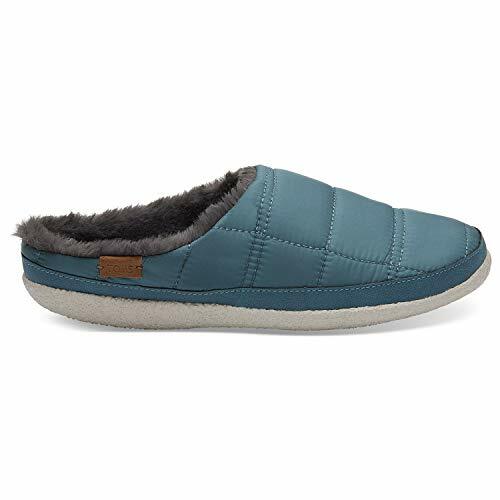 YOU WON'T SLIP WHILE YOU WEAR THESE SLIPPERS: Our faux fur slippers have a premium quality thermoplastic rubber sole that is incredibly durable and nonslip at the same time. In other words, you can walk around your house with confidence, because these comfy slippers are very sturdy. 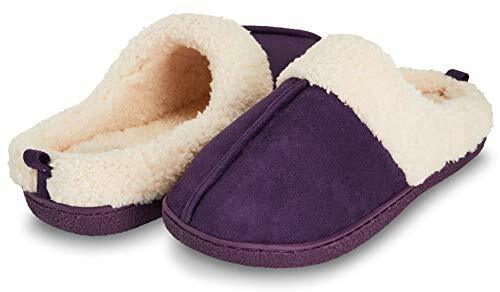 SLIPPERS ARE A MUST-HAVE ACCESSORY: So if a special woman in your life doesn't own clog slippers or she has a really old pair, you should definitely give her these Floopi fur slippers are a gift. Just make sure to pick the right size and color combination, and you're ready to place an order! KEEP YOUR FEET WARM AND COMFORTABLE: We all know of those cold winter nights! Sometimes, wrapping up and sitting in front of the fireplace just isn't enough! The secret to feeling warm and cosy, is to wear fluffy, soft, warming slippers! 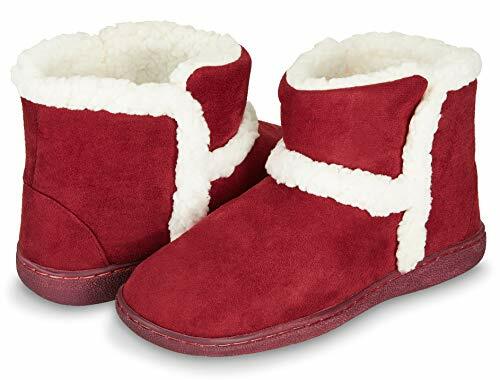 These top quality, faux fur bootie slippers for women are exactly what you have been looking for! SETTLE FOR NOTHING LESS THAN THE BEST: Stop wasting your money on cheaply made boot slippers that make you feel uncomfortable! 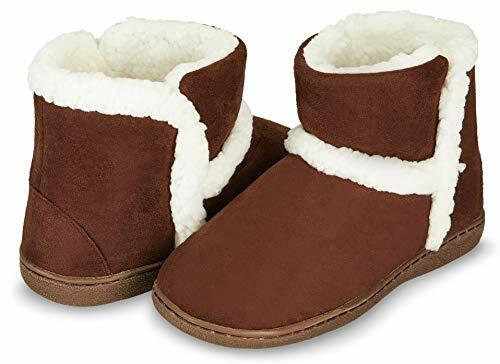 These fur booties feature a memory foam sock and a flexible thermoplastic rubber sole which will offer excellent support and a delicate, soft touch. STAND OUT WITH YOUR STYLE: You may wear these bootie slippers both indoors and outdoors! 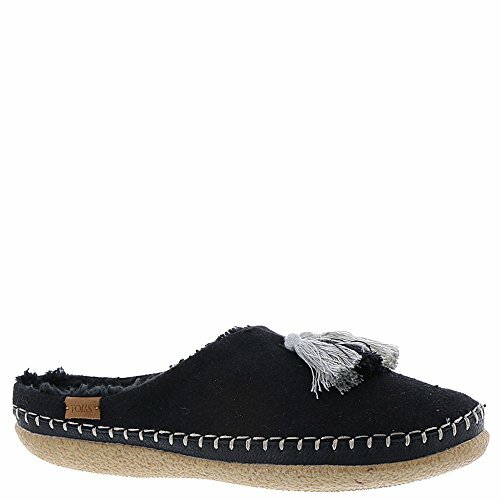 The faux fur lining, sturdy sole, micro suede finish and the Sherpa trim accent of these house shoes will have you looking trendy, stylish, elegant and fashionable on any occasion. MATCH YOUR SLIPPERS TO ANY OUTFIT: No matter what your favorite color is, these womens slipper boots are ideal for you! 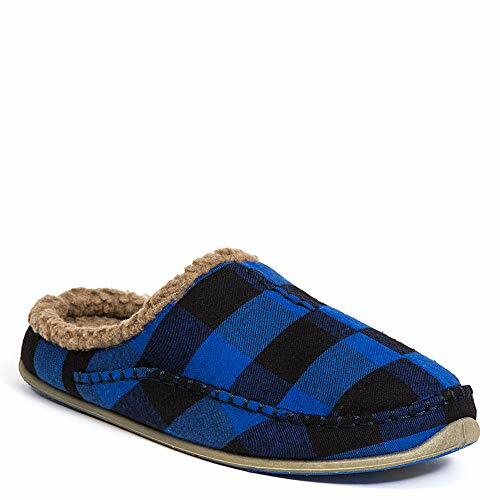 Available in navy, gray, chestnut, black, brown, wine and burgundy, these slippers will nicely complement your sleepwear, loungewear and casual, everyday outfits. Ready to make some heads turn? ENJOY THE PERFECT FIT: Whether you want to make these bootie slippers yours, or you want to offer them as a gift to someone you love, picking the right size is a piece of cake! 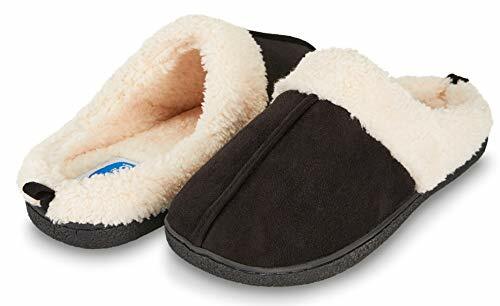 Floopi memory foam slippers come in small (5-6), medium (7-8), large (9-10) and extra-large (11-12) sizes, assuring the perfect, most comfortable fit for everyone! Bebe Girls slippers with sparkle bling. 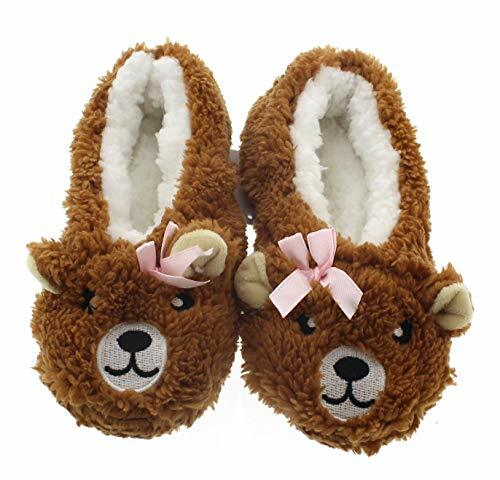 Cozy fluffy slippers for kids. Vegan fur lined fuzzy slippers with reversible sequins for extra colorful metallic shine. 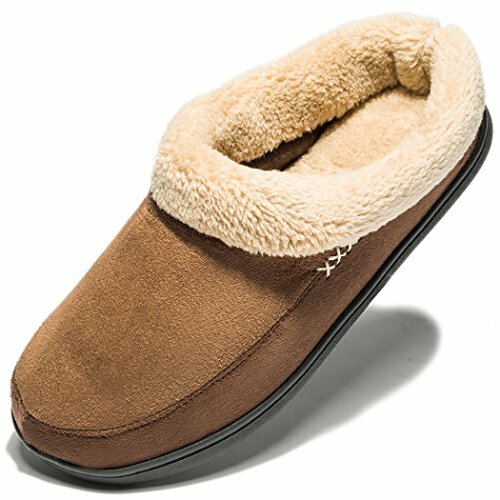 Warm winter slippers for girls to wear at home, to bed, lounging indoors. 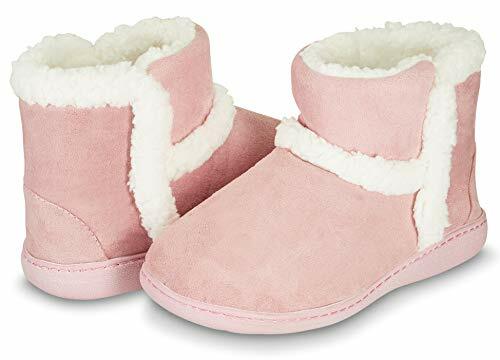 These adorable plush slippers feature fur cuff trim, furry lining and cushioned insole to ensure comfortable warmth for your little girl's feet and toes this cold weather season. 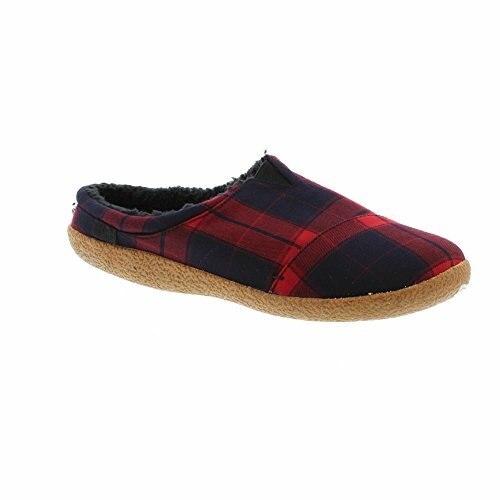 Classic kids indoor outdoor house shoes for protection from fall autumn chilly weather. 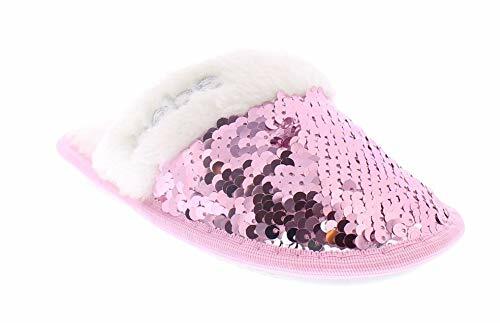 Youth kids house slippers with fur lining and embellished sequins to add pretty girly holiday dazzle to childrens slippers for an extra special Christmas gift under the tree this year 2018. Fun gifts for kids. Designer bebe slippers for girls,house shoes with non-slip rubber outsole for quiet wear and safety. Girl's fun slippers with crazy shimmer style in 6 original fashion colors. Choose from basic black, light pink, hot fuchsia, rose gold, light pink multi-color or lilac purple multi color. Guaranteed crazy fun stuff for kids to love to wear with her favorite pajamas or adorable dress. Let your stylish child start her own trend with this perfect pair of cute house slippers. Comfy bedroom slippers for your little girl and big girl. 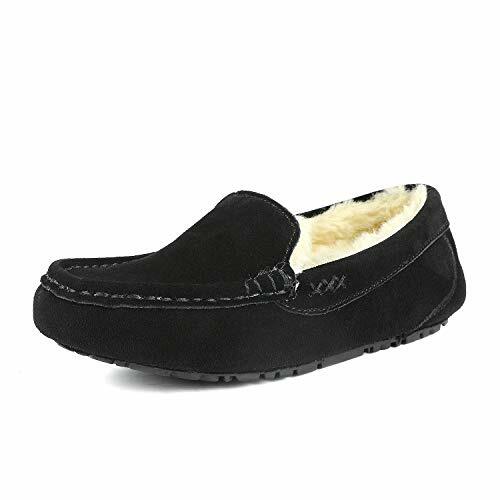 Easy to wear slip on scuff slippers with pillow soft white shearling collar and insole for comfort. Signature bebe logo on fur cuffed trim. Simple backless scuffs with round closed toe. Lightweight house slippers for kids available in S,M,L,XL to fit little kid size 11-3 and big kid's size 4-5. See size chart in product description below to ensure best fit for her.